Emma Gonzalez uses Carl Jung’s four female archetypes: Queen ~ Mother ~ Lover ~ Wise. Her art is an expression of love for the female experience. 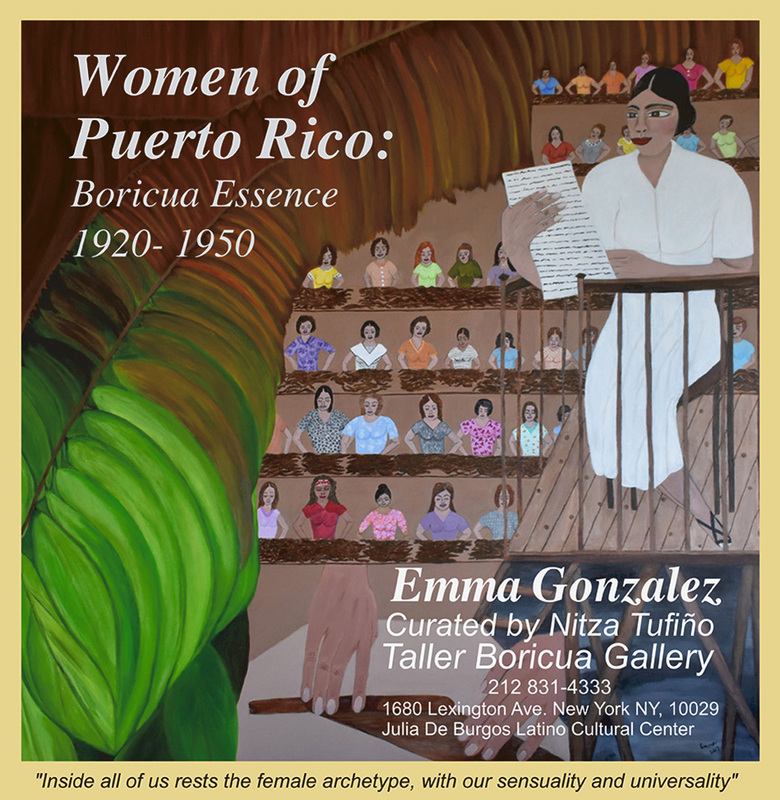 Emma Gonzalez: Women of Puerto Rico, Boricua Essence 1920-1950 will open at Taller Boricua Gallery on March 8, with an Artist Talk to be held on Saturday, March 9th from 2:30-5pm. Taller Boricua Gallery is located at 1680 Lexington Avenue, at 106th Street, in East Harlem.